Marston Hall was rededicated Sept 29 after a two-year comprehensive renovation project. 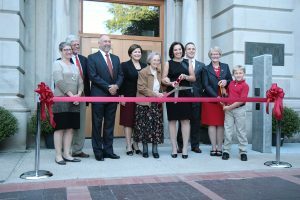 On Thursday, Sept. 29, the campus community and public gathered to rededicate Marston Hall in a ribbon-cutting ceremony held on the building’s east lawn. 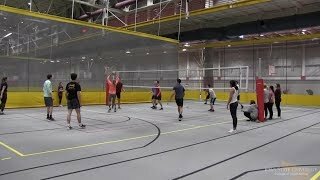 Marston Hall, which has served as home to the College of Engineering at Iowa State University for more than a century, underwent a comprehensive renovation from 2014-2016. The project removed 75 percent of the building’s interior structure to allow for student-centered updates while maintaining the iconic majestic limestone façade that reflects the college’s proud history. Those in attendance also heard from Steven Leath, president, Iowa State University; Larissa Holtmyer Jones, president and CEO, Iowa State University Foundation; Jan Jessen, 2016 Honorary Alumni Award Recipient; John Hayes ’66 alumnus; and Nolan Dickson, senior, chemical engineering. The building is named after Anson Marston, who was the first dean of the College of Engineering at Iowa State. Marston is also known for designing the school’s sewage system and the water tower standing on the west side of Marston Hall. His granddaughters, Alice Marston Barney and Lucy Carruthers, along with several of their family members, joined in the rededication celebration. Read more about the Marston Hall renovation, including photos that capture the different stages of the project. It must have been a great day for the re-dedication of Marston Hall! I fondly remember attending a number of Civil Engineering classes in Marston Hall and doing job interviews on the main floor offices and the Dean’s office. I am so proud to be a part of two loyal Iowa State University families – the Harpoles and the Gibsons! Many members of these two families love this beautiful campus and the special place it holds in each of our hearts and histories. 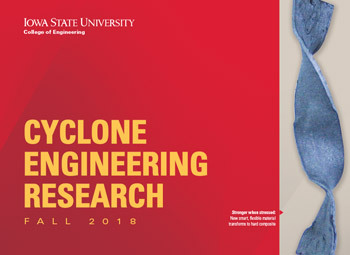 May Marston Hall serve another hundred years of Cyclone Engineers! Thank you to Ruth Harpole and Janice Harpole Jessen for your continued support of this wonderful campus, and the College of Engineering! Thank you again for having us to the celebration! As the GGGRANDSON of Anson Marston, Nicholas was so excited to be a part of this exciting day AND the ribbon cutting. 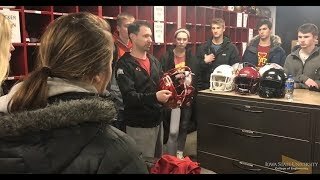 Everyone at Iowa State made us feel so welcomed and special. It was a time we will never forget!